So…I may or may not be using my daughter’s room as a sort of mom cave while she’s away at college. I might have removed some posters, I may be about to repaint a wall I actually let her paint black, and I definitely did replace the old black and white comforter on the bed. It all started when I saw this picture on my Instagram of bedding that I totally fell in love with. I wanted to purchase it for my daughter’s room, but when I looked into doing so, I was very disappointed to find out that it would cost me over $1,370 (record comes to a screeching halt!) to do so. I couldn’t get that bedding off my mind and knew I wouldn’t find anything I liked better than that so I decided to try to recreate the look on a more realistic budget. It took me a few months to find the main pieces I needed, but I was able to make a pretty good knockoff of this bedding. So this first picture is the $1,370 bedding I first saw on Instagram. 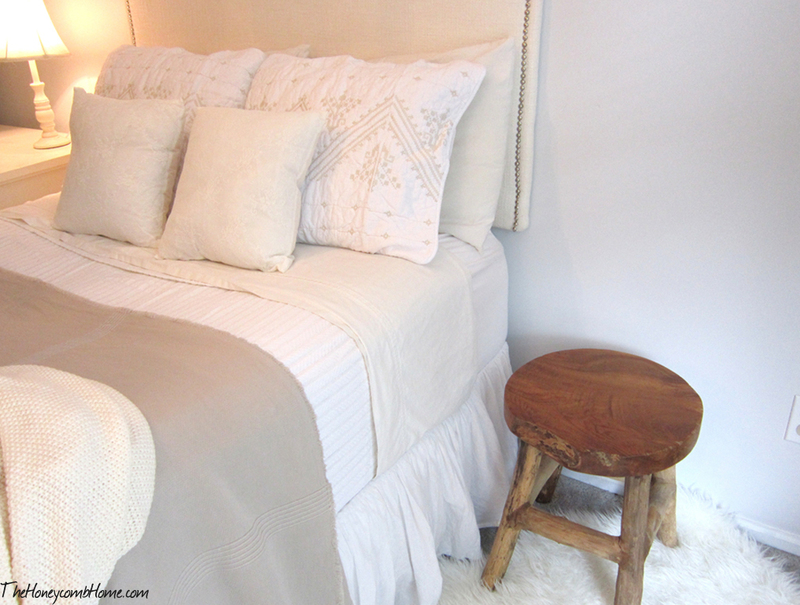 The linen blanket on the bed and the euro shams are from Isabellastyle.com. They are gorgeous. They are from the “Braga” collection and at the time of my emailing them (in July) they were still so new they weren’t on the website yet, and I still don’t see them on there. 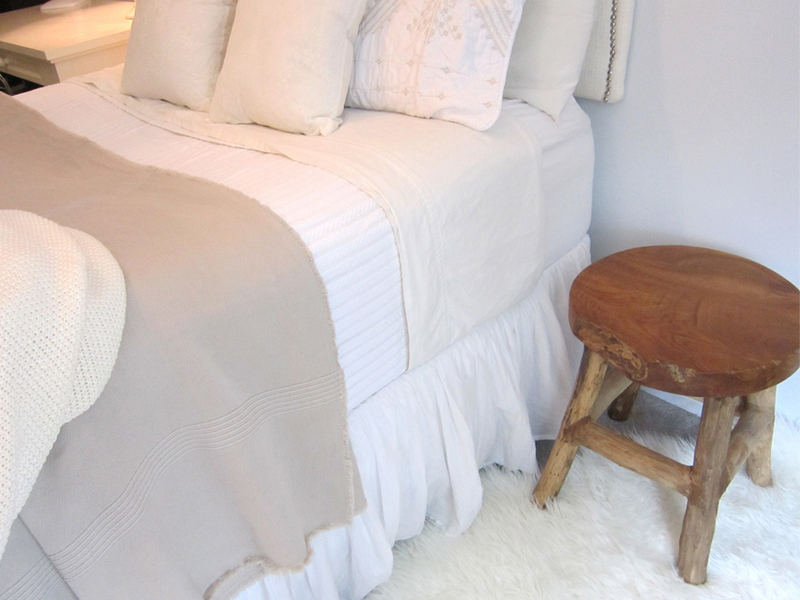 The linen blanket sells for $340 and the euro shams are $180 each. 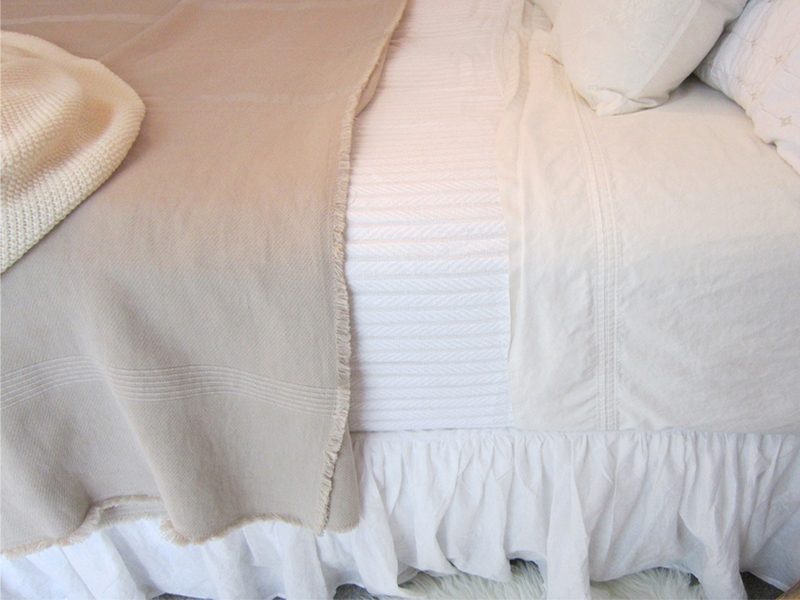 The “Veneto” coverlet in Pearl (the cream coverlet underneath the linen blanket) is from the Peacockalley.com. The coverlet sells for $190. 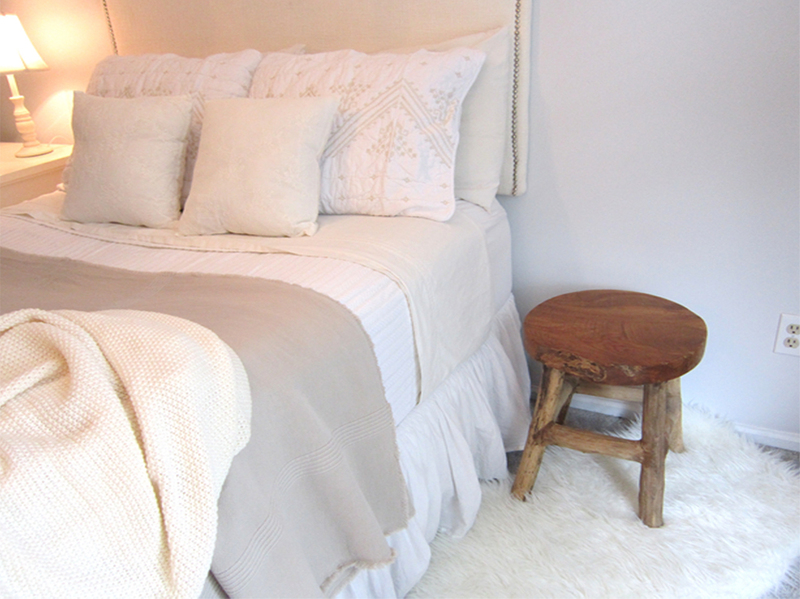 The cream throw on the bed is from Pineconehill.com and goes for $187. The two ruffled tourmaline throw pillows are $145 each. So first I needed to find a linen blanket. I figured that would be the hardest one to duplicate. 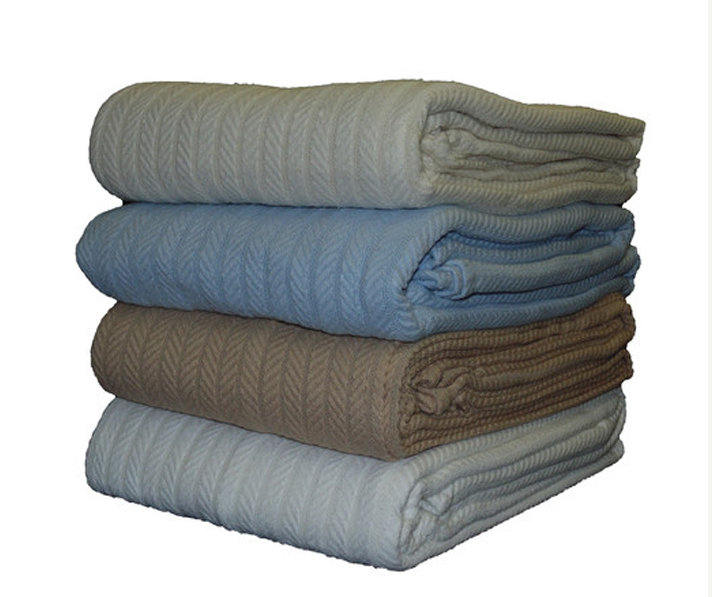 When I Googled linen blankets I found out quickly that they are all expensive. 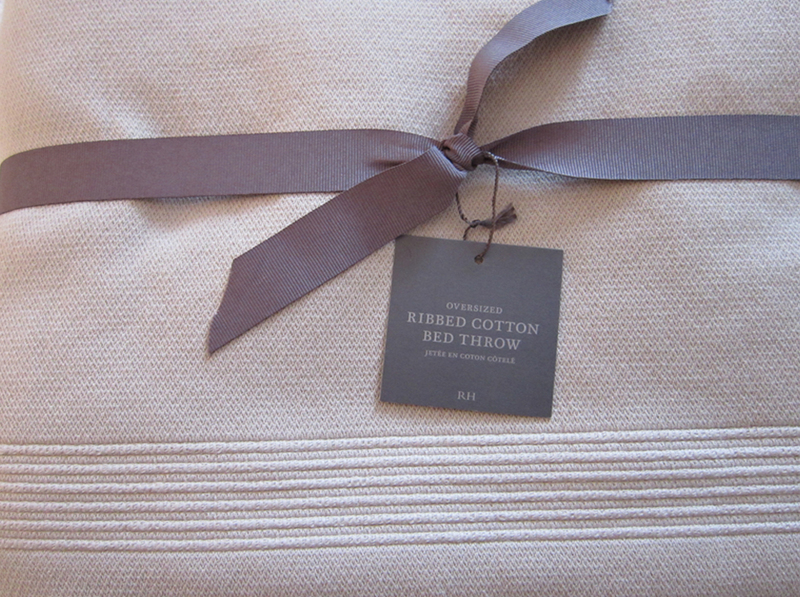 I found a cotton blanket with a similar look at Restoration Hardware. I picked it up when it was on sale for $119. Still a little pricey for a blanket, but it’s the main piece and I figure I’d spend about as much on a duvet or a comforter set. 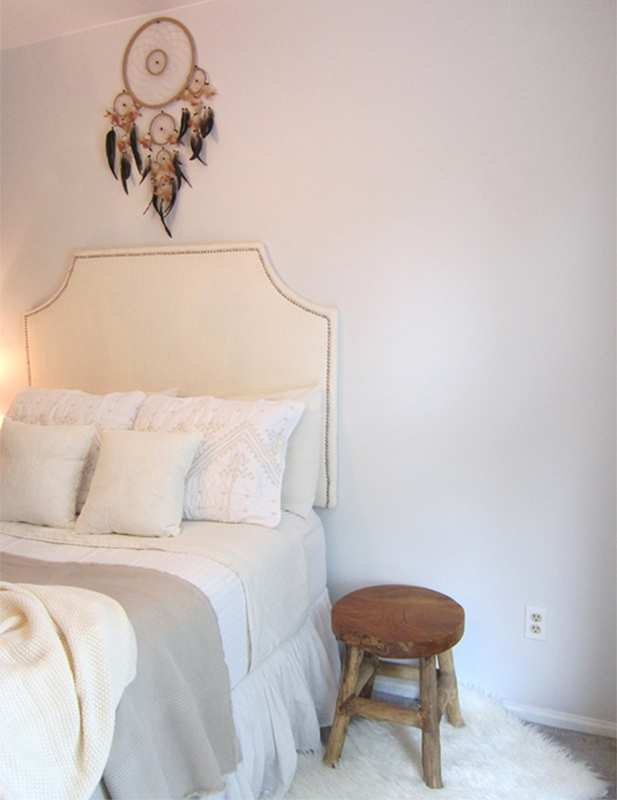 The blanket I used in place of the coverlet is the cozy fleece cable blanket from Wayfair. This was under $25. 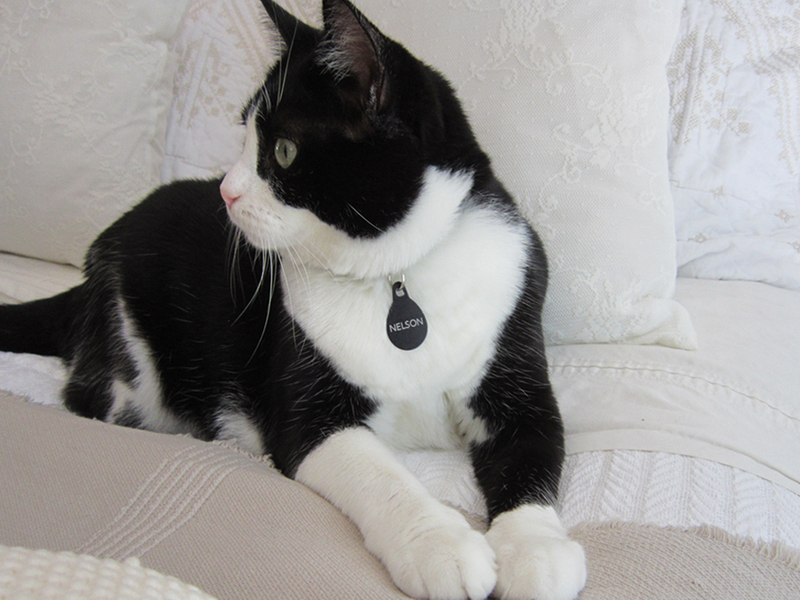 I picked mine up in white because I already had cream-colored sheets on the bed. 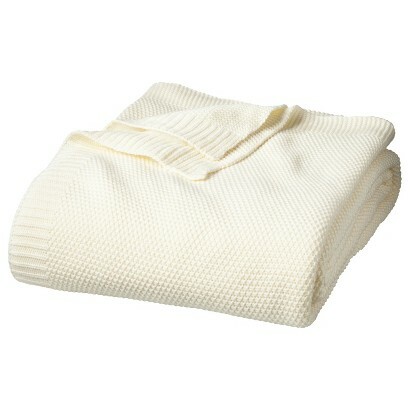 Next I picked up this sweater knit throw from Target. The price online for the full/queen size is $49.99 but I picked it up in the store for $39.99. For the throw pillows I really couldn’t find a good knockoff for those. 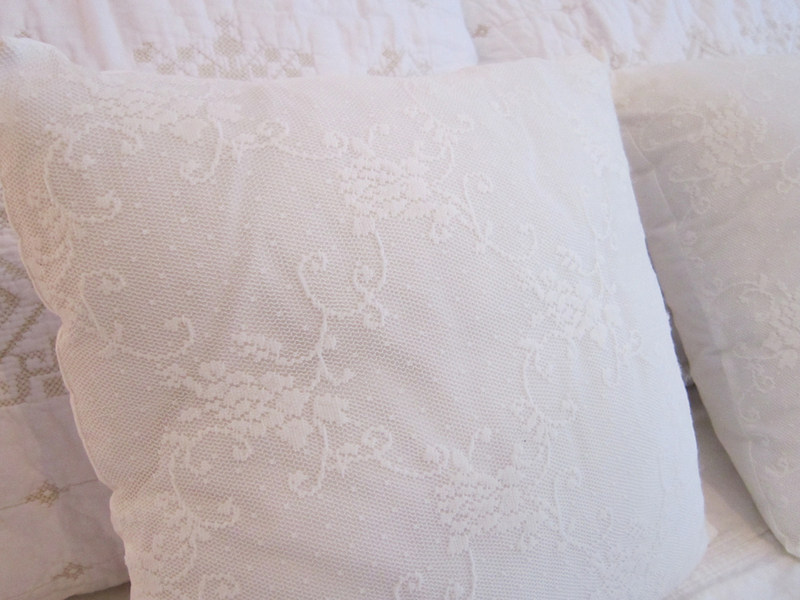 I did find these white lace pillows at Home Goods for around $10 each. 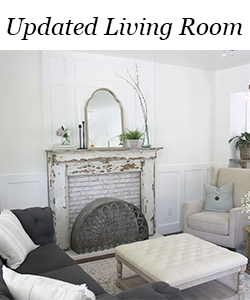 I really love the ruffled pillows, so I will probably keep watching for something similar. All the other bedding on my daughter’s bed (sheets, shams, pillowcases, bedskirt) were items I already had. Here is my knock off designer bedding. In total I spent $204 on the bedding. Not exactly rock-bottom but not bad compared to buying entire bed sets anyway. Plus, I bought the pieces slowly over a period of a few months. The whole room feels so much lighter and brighter now. I love it! I recently made the switch to all cream bedding. Its so classy and still cozy. I would never be able to tell which is the expensive bedding and which is the knock off. Great job! RE: duplicating the white, ruffle textured pillows of the inspiration bed, I am in the midst of a project which might work for you. I took packages of bias tape, ironed them flat, cut strips approx. 3 inches longer than my pillow form, ruffled the strips with a gathering thread, and just top stitched them on right next to each other. 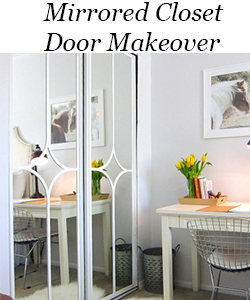 You could use various shades of white, cream, ecru etc. 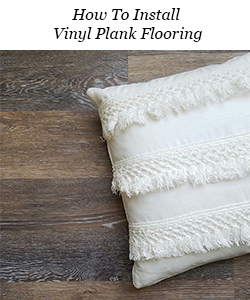 It really gives a textured look but not fancy so would be perfect your lovely room. Thanks for the great suggestion, Judy. I’ll definitely look into that! So pretty! You did an awesome job of duplicating the original at a fraction of the cost! I love that knit throw from Target! 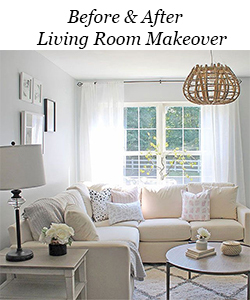 Isn’t it fun to try to create a similar look for less? 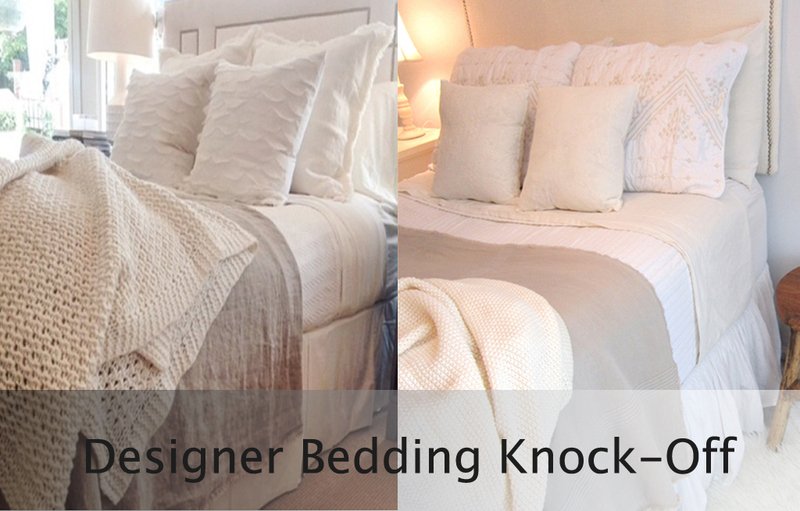 You did a fantastic job of recreating the pricey bedding! I must say, though, that I sure am glad my mom didn’t take over my room when I went to college 🙂 Thanks for sharing today at our Your Turn to Shine Party! Hi! I found you through knockoff decor. 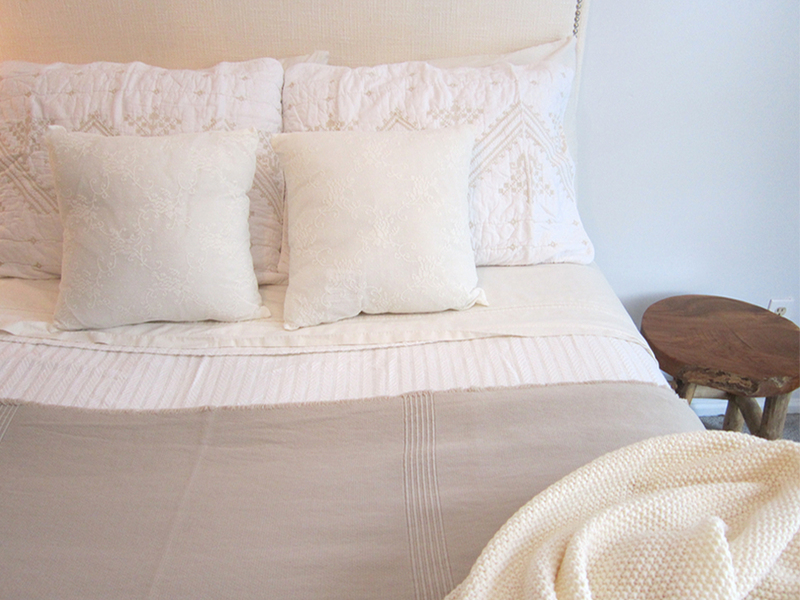 Love this bedding-so cozy! 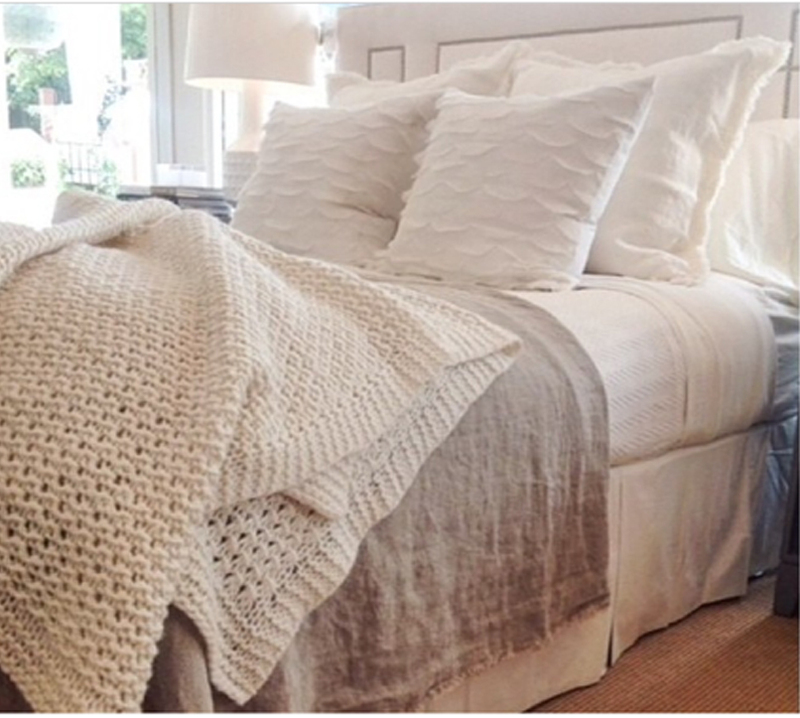 I was wondering if you could tell me for the RH bed throw what color do you purchase? Thanks. Hi Gina, the color is “Dune”. This turned out great and the knock-off looks just as good! Way to save yourself some cash! Well that looks nice and comfy! 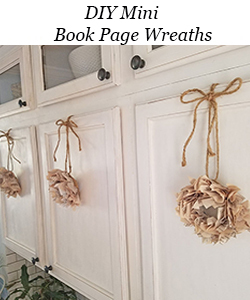 Thank you for adding your post to last week’s Pin Worthy Wednesday–I’ve adding this post to our master board on Pinterest! 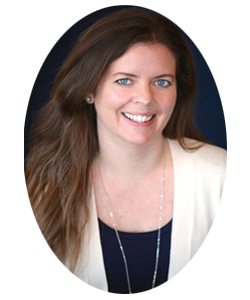 I hope you stop by and add a pin this week too!